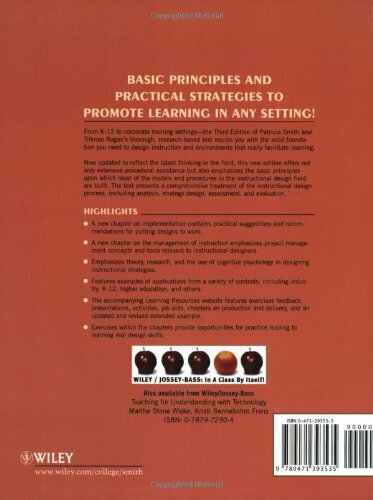 Basic principles and practical strategies to promote learning in any setting! 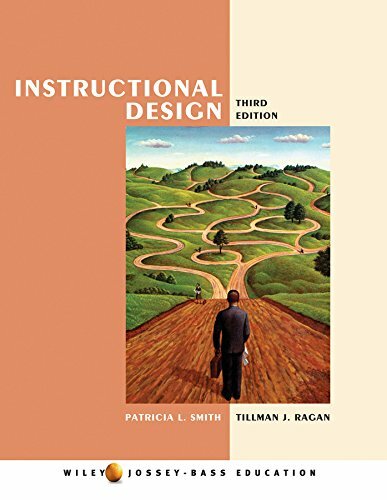 From K-12 to corporate training settings––the Third Edition of Patricia Smith and Tillman Ragan’s thorough, research-based text equips you with the solid foundation you need to design instruction and environments that really facilitate learning. Now updated to reflect the latest thinking in the field, this new edition offers not only extensive procedural assistance but also emphasizes the basic principles upon which most of the models and procedures in the instructional design field are built. The text presents a comprehensive treatment of the instructional design process, including analysis, strategy design, assessment, and evaluation.